Our services have been cancelled tomorrow — Sunday, February 22, 2015 — because of snow and ice. But, this week’s lectionary readings are so full of wonderful opportunities for reflection as we begin the Lenten season, that I wanted to share some of my sermon notes with you. Mark’s version is the shortest of the synoptic Gospels. Matthew 4:1-11 and Luke 4:1-13 are longer and contain much more detail, including the three temptations from the devil. The Markan text covers three significant steps in Jesus early ministry: his baptism (v. 9-11), his 40 days in the desert (v. 12-13), and his initial proclamation of the kingdom of God (v. 14-15). A preacher could take off in any one, or all three, directions and not go wrong. However, because Lent is often imagined as a journey, the desert experience is very appropriate for this first Sunday in Lent. Mark’s dynamic description of the movement from baptism by the Jordan to the desert describes the Spirit as “thrusting” Jesus into the wilderness. The wilderness experience is not just a good opportunity for Jesus, and for us, to step back and reflect on our spiritual journeys, it is an archetypal experience known across cultures. In his groundbreaking book, The Hero with a Thousand Faces, Joseph Campbell describes the universal metaphor of the “hero” and his or her mythic journey. The hero’s journey typically involves three phases — the departure, the initiation, and his victorious return. For this text, we’re concerned with only the first phase, the departure. In other words, when you leave home on an adventure into the unknown, it can be pretty scary! And on this journey into the desert, these “deceitful and dangerous presences” are often demons, devils, or human-like creatures that beguile, entice, and tempt. Campbell describes that one of the human-like creatures from Central Africa is said to try to entice the hero to fight. When the hero has the advantage of the ogre, the ogre bargains by saying, “Do not kill me, I will show you lots of medicines,” which means a kind of shamanic power. Sounds very much like what the devil offers to Jesus! Now, let me be clear: I am not saying that the temptation of Jesus in the wilderness is a myth. However, because the hero’s journey is a metaphor known across time and cultures, there must be something to the idea of a spiritual journey or quest. And that thought brings us back to Lent. Jesus’ experience in the wilderness was necessary for the beginning of his ministry. Likewise, we as his followers also must face head-on the reality of our own demons, and all those spiritual powers that would distract, deceive, and derail our journey. For years I did not like Lent because I thought it was generally dreary and depressing. But without the experience of victoriously battling our demons and resisting the siren-song of temptation, we cannot take the next steps in our journey. Jesus settled his allegiance to God in the wilderness, and so must we. Anyone can serve God in the bright light of day, but obedience to God when surrounded by darkness is a learned obedience. I also like the scene in at the end of verse 13 — “He was with the wild animals and the angels attended him.” Not only do we see Jesus resisting the devil, but after he has done so, Mark gives us a hint of paradise restored. 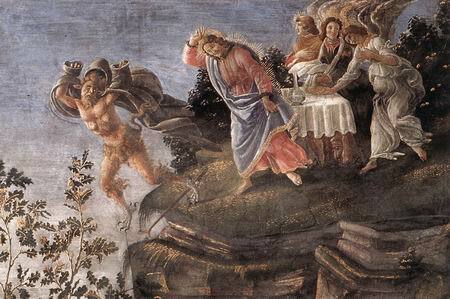 For the first time since Adam and Eve in the Garden of Eden, a human being dwells with the animals in peace, and God’s messengers shuttle back and forth between heaven and earth attending to him. During these next weeks leading up to Easter, we must remember that the Lenten journey from baptism to resurrection runs right through the desert. Why does illness and suffering exist? Does God still heal today? 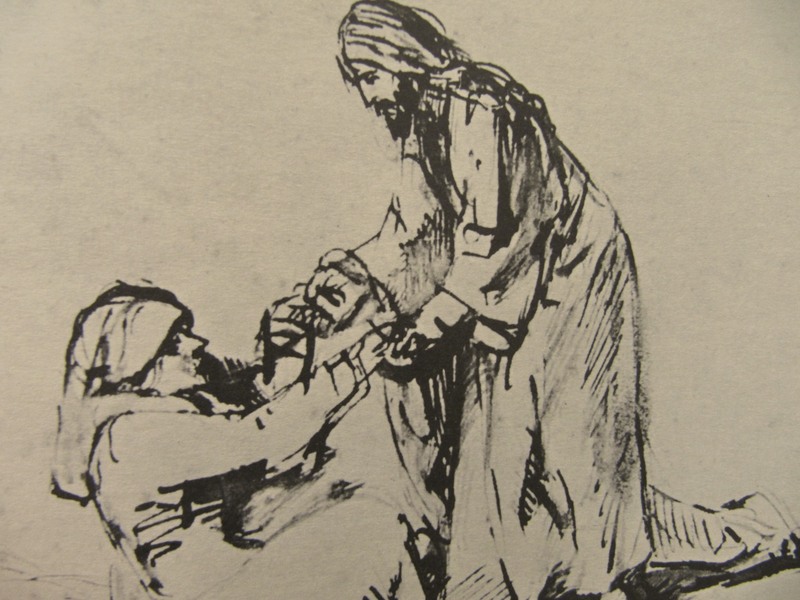 What can we do in the face of illness and suffering?